CORONADO TOWER I UNIT IN A HIGH FLOOR WITH VIEWS TO THE CITY, TURNBERRY ISLES COUNTRY CLUB AND GOLF COURSE. THIS IS A 2-BEDROOM SPLIT 2ND BEDROOM OPEN TO THE LIVING ROOM. UNIT OFFERS: ALL CARPET FLOORS THROUGH-OUT AND TILE FLOORS IN KITCHEN & BATHROOMS, ORIGINAL CONDITION BUT VERY WELL MAINTENANCE. COMPLEX FEATURES: GUARD GATE, SECURITY, CLUB HOUSE, FITNESS CENTER, LIBRARY, GAME ROOM, HEATED POOL, JACUZZI, MAIL ROOM. COMPLEX UNDER RENOVATION. 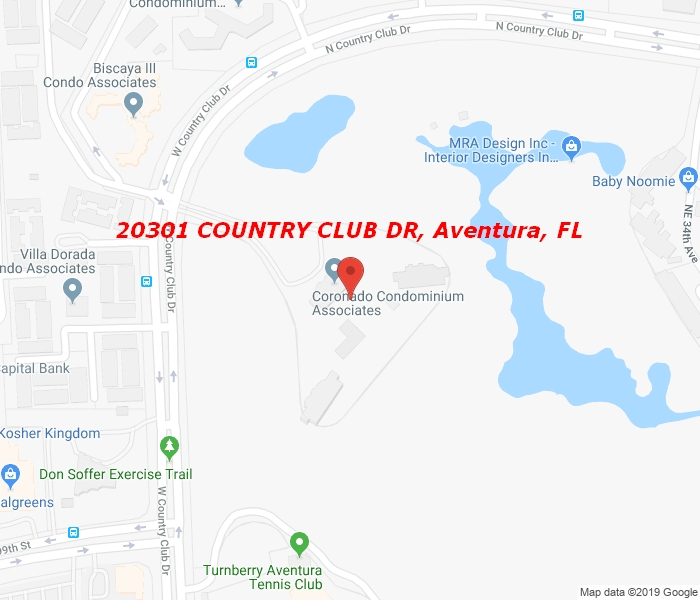 THE CITY PROVIDES COURTESY BUSES TO ALL CONVENIENCES, AVENTURA MALL AND THE BEACH, CITY PARKS, TENNIS COURTS, WATER PARK, 3MILES WALKING PATH, PREFORMING ART CENTER, PUBLIC LIBRARY AND MORE… PROPERTY SITS ON FAMOUS TURNBERRY ISLES GOLF AND RESORT A PRIVATE COUNTRY CLUB.